Submitted photo The Black Student Union retains, recruits and unifies all students from the African and African American diaspora. FAIRBORN — Evan Sumlin saw a problem. Through four years at Wright State, she has seen students deface the Black Student Union’s bulletin board, vandalize the Rock where students paint messages and write graffiti in bathrooms targeting minority groups. She hopes to fix this by promoting unity on campus. Sumlin is the president of the Black Student Union, which retains, recruits and unifies all students from the African and African American diaspora. It also provides students with social, cultural and political awareness and consciousness for the upliftment of the African American community on Wright State’s campus. Trenton Miller, vice president of the Black Student Union, said the student organization is a place where students of similar cultural backgrounds can gather and discuss politics and encourage students to be aware of what is happening in current culture. Sumlin encourages students to ask questions and keep an open mind when it comes to diversity and inclusion, especially when it pertains to a student who is not part of a minority group. Miller said incidents like graffiti and vandalism of the bulletin board makes him feel unwelcome and unwanted in the university. Miller said he would encourage people to work together to understand different cultures. For example, he said, he would like to see minority groups supporting other minority groups. “The most important thing is to be understanding and learn about different cultures and understand each other’s communities and problems,” he said. Sumlin said that support from Nycia Lattimore, assistant director of the Bolinga Black Cultural Resources Center, and Matt Boaz, chief diversity officer, have helped direct the Black Student Union to the right path to alleviate this issue. 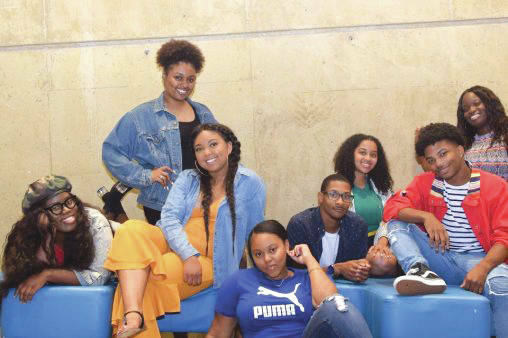 https://www.fairborndailyherald.com/wp-content/uploads/sites/50/2019/02/web1_black-student-union-508×338.jpegSubmitted photo The Black Student Union retains, recruits and unifies all students from the African and African American diaspora.